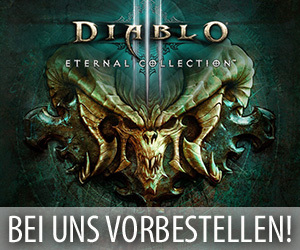 Im Verlauf der vergangenen Nacht haben die Mitarbeiter von Blizzard Entertainment den neuen Build 23530 auf den mittlerweile bereits seit einigen Wochen aktiv laufenden PTR von Patch 7.2 aufgespielt und den aktuell auf diesem öffentlichen Testserver spielenden Personen dadurch dann wieder einmal einige Neuerungen zum Ausprobieren zur Verfügung gestellt. Dabei brachte diese neue Version von Patch 7.2 zusätzlich zu den für solch ein Update üblichen Anpassungen an den spielbaren Klassen und den Artefaktwaffen auch noch ein neues Feature für die Verheerte Küste, neue Anhänger für einige Klassen, einen neuen PvP Brawl und die Vorbereitungen für den Start der Raidtests in dem Grabmal des Sargeras mit sich. Folgend findet ihr nun die von den Entwicklern verfassten PTR Development Notes zu diesem neuen Build und eine Zusammenfassung der bisher bereits von Data Minern in diesem Update entdeckten Inhalte und Anpassungen. Die „Sentinax“: Dieses Flaggschiff der brennenden Legion patrouilliert die Verheerte Küste und beschwört gelegentlich Angriffstrupps der Dämonen. Spieler können von diesen Mobs sogenannte „Sentinax Beacons“ erbeuten, die dämonische Portale öffnen und noch schwerere Elite Mobs auf die Verheerte Küste beschwören. Diese Gegner droppen dann Handwerksmaterialien, Nethershards und noch mächtigere „Sentinax Beacons“, die selbstverständlich auch noch schwerere Elite Mobs beschwören. Neue Anhänger: Auf dem PTR können sich Paladine nun „Maximillian of Northshire“ als Champion für ihre Klassenhalle verdienen und Magier dürfen sich über „The Great Akazamzarak“ als ihren Anhänger freuen. Raidtests: Mit diesem Build trafen die Entwickler die Vorbereitungen für den baldigen Start der Raidtests in dem Grabmal des Sargeras. Der neue PvP Brawl „Warsong Scramble“: Dieser in der Kriegshymnenschlucht stattfindende PvP Brawl soll die normalerweise in diesem Schlachtfeld geltenden Regeln durch zusätzliche Flaggen, Sonderregeln und neue Stärkungszauber komplett durcheinanderbringen. Since there’s still a lot of testing to be done on the content we introduced last week, this week’s update will be a little bit lighter. That said, there’s still several new things being enabled for testing in this build. This week fleshes out the Broken Shore zone a little more with the addition of the Sentinax: a Legion command ship that patrols the zone, sending in backup troops to certain areas when necessary. When it’s patrolling an area, you’ll be able to find Sentinax Beacons on nearby enemies. Use one of these beacons to cause the Sentinax to open demonic portals, which spawn more difficult creatures. When killed, those creatures drop Nethershards and crafting materials, as well as more powerful beacons that, in turn, summon more powerful creatures. Paladins and Mages can unlock a couple new followers in this build. If you’ve quested in Ungoro, you may remember a fellow by the name of “Maximillian of Northshire.” Paladins who have completed that quest line will be able to recruit him to their cause (for better or worse). 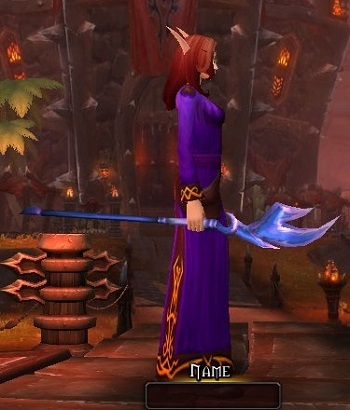 Mages, on the other hand, will need to complete their class hall questline. Once that’s finished, the Great Akazamzarak – everyone’s favorite street magician – will have an important task for you. Help him out, and he’ll join you on your adventures. We’re planning to do a light amount of raid testing this week, primarily to check for stability and catch any major show-stopping bugs. The “real” raid testing will start next week, once we’re confident the PTR is ready. We’ll have more details to share on that schedule in the coming days. Finally, imagine a typical game of Warsong Gulch, where your team battles to capture the enemy’s flag while defending your own. Now imagine that you don’t need to defend your flag to capture theirs – just take a quick stroll across the battlefield with it and the point is yours. Oh, and there’s a whole bunch of extra flags. And some new powerups. You end up with something called “Warsong Scramble,” and that’s the next PvP Brawl up for testing. It’ll be available all week, but we especially hope to see you during Play with the Blues on Friday! Those are the major features we’re opening up with this build, but we’re hoping to start testing on most of the remaining 7.2 content in the next week or so – including flying, class mounts, and several other bits. Thanks again, and happy testing! Dressed for Battle – Brutal Gladiators (New) Collect a Season 4 Gladiator Set. Account Wide. Dressed for Battle – Cataclysmic Gladiators (New) Collect a Season 11 Gladiator Set. Account Wide. Dressed for Battle – Cruel and Ferocious Gladiators (New) Collect a Legion Season 3 or 4 set. Account Wide. Dressed for Battle – Deadly Gladiators (New) Collect a Season 5 Gladiator Set. Account Wide. Dressed for Battle – Furious Gladiators (New) Collect a Season 6 Gladiator Set. Account Wide. Dressed for Battle – Gladiators (New) Collect a Season 1 Gladiator Set. Account Wide. Dressed for Battle – Grievous Gladiators (New) Collect a Season 14 Gladiator Set. Account Wide. Dressed for Battle – Malevolent Gladiators (New) Collect a Season 12 Gladiator Set. Account Wide. Dressed for Battle – Merciless Gladiators (New) Collect a Season 2 Gladiator Set. Account Wide. Dressed for Battle – Prideful Gladiators (New) Collect a Season 15 Gladiator Set. Account Wide. Dressed for Battle – Relentless Gladiators (New) Collect a Season 7 Gladiator Set. Account Wide. Dressed for Battle – Ruthless Gladiators (New) Collect a Season 10 Gladiator Set. Account Wide. Dressed for Battle – Tyrannical Gladiators (New) Collect a Season 13 Gladiator Set. Account Wide. Dressed for Battle – Vengeful Gladiators (New) Collect a Season 3 Gladiator Set. Account Wide. Dressed for Battle – Vicious Gladiators (New) Collect a Season 9 Gladiator Set. Account Wide. Dressed for Battle – Vindictive and Fearless Gladiators Collect a Season 19 or 20 Gladiator Set. Account Wide. Legion Season 1 or 2 set. Account Wide. Dressed for Battle – Warmongering Gladiators (New) Collect a Season 18 Gladiator Set. Account Wide. Dressed for Battle – Wild Gladiators (New) Collect a Season 17 Gladiator Set. Account Wide. Dressed for Battle – Wrathful Gladiators (New) Collect a Season 8 Gladiator Set. Account Wide. Floor Thirteen Name changed from „Thirsty for Thirteen“ to „Floor Thirteen“. Cruel Elite (New) Reach 2000 in any Rated PvP Bracket during Legion Season 3 10 points. Fearless Elite Name changed from „Ferocious Elite“ to „Fearless Elite“. Ferocious Elite (New) Reach 2000 in any Rated PvP Bracket during Legion Season 4 10 points. Paragon of the Broken Isles Earn 10 exalted supply rewards from any faction within the Broken Isles.10 points. Cathedral of Eternal Night (New) Defeat Mephistroth within the Cathedral of Eternal Night. 10 points. Heroic: Cathedral of Eternal Night (New) Defeat Mephistroth in Cathedral of Eternal Night on Heroic difficulty or higher. 10 points. Master of Shadows (New) Defeat Mephistroth within the Cathedral of Eternal Night with no Fel Spikes active on Mythic Difficulty. 10 points. Mythic: Cathedral of Eternal Night (New) Defeat Mephistroth in Cathedral of Eternal Night on Mythic difficulty. 10 points. Fel Turkey! (New) Destroy 30 Infernal Spikes with Shattering Stars and then defeat Goroth in Tomb of Sargeras on Normal difficulty or higher. 10 points. Grand Fin-ale (New) Summon Elder Murk-Eye using a Mrgrglhjorn, then defeat him and Harjatan the Bludger on Normal difficulty or higher. Grin and Bare It (New) Defeat the Demonic Inquisition while every party member is at maximum Torment in Tomb of Sargeras on Normal difficulty or higher. 10 points. Reanimation Reanimates a nearby corpse, summoning a zombie with 5 health for 20 sec to slowly move torwards towards your target. If it reaches your target, it explodes stunning all enemies within 5 yards for 3 sec and dealing 10% of enemies health in Shadow damage. Unholy DeathKnight – Tier 5 PvP Talent. 1 Runes. 40 yd range. Instant. Infected Wounds Rake causes an Infected Wound in the target, reducing the target’s movement speed by 30% 50% for 12 sec. Druid – Feral Spec. Rake (Feral) Reduces the target’s movement speed by 30% for 12 sec. 50% for 12 sec. Heavy-Handed Strikes Your first strike of Fists of Fury knocks targets to the ground, stunning them for 4 3 sec. Fists of Fury has a 5 yard increased range. 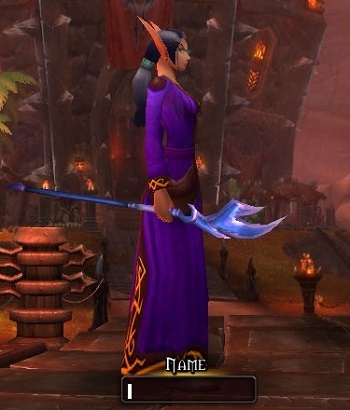 Windwalker Monk – Tier 5 PvP Talent. Light of T’uure Applies Light of the Naaru to the target, healing for [ 1 + 400% of Spell Power ] and increasing all healing you do your healing done to that target by 25% for 10 sec. Maximum 2 charges. Artifact. 40 yd range. Instant. Crippling Poison Coats your weapons with a Non-Lethal Poison that lasts for 60 min. Each strike has a 50% chance to poison the enemy, slowing movement speed by 30% 50% for 12 sec. Rogue – Assassination Spec. 1.5 sec cast. Pistol Shot Draw a concealed pistol and fire a quick shot at an enemy, dealing [ 165% of AP ] Physical damage and reducing movement speed by 30% 50% for 6 sec. Awards 1 combo points. Rogue – Outlaw Spec. 40 Energy. 20 yd range. Instant. Nightblade Finishing move that infects the target with shadowy energy, dealing Shadow damage over time and causing attacks against the target to reduce movement speed by 30% 50% for 8 sec. Lasts longer per combo point. 1 point : [ 4 + 552% of AP ] over 8 sec 2 points: [ 5 + 690% of AP ] over 10 sec 3 points: [ 6 + 828% of AP ] over 12 sec 4 points: [ 7 + 966% of AP ] over 14 sec 5 points: [ 8 + 1,104% of AP ] over 16 sec Rogue – Subtlety Spec. 25 Energy. Melee range. Instant. Spirit Link You link yourself and two closest allies within 15 yards together. When linked targets take damage, 50% is distributed among the other linked allies. Linked targets receive 100% increased healing from your Chain Heal and Healing Rain. Lasts for 30 20 sec. Limited to 3 targets. Restoration Shaman – Tier 5 PvP Talent. 15% 35% of Base Mana. 15 yd range. Instant. Fortitude of the Ebon Blade (Rank 1) (New) Increases damage by 10%, Armor by 10%, and Stamina by 25%. Ferocity of the Ebon Blade (Rank 1) (New) Increases damage by 10% and Stamina by 25%. Cunning of the Ebon Blade (Rank 1) (New) Increases damage by 10% and Stamina by 25%. Illidari Ferocity (Rank 1) (New) Increases damage by 10% and Stamina by 25%. Illidari Durability (Rank 1) (New) Increases damage by 10%, Armor by 10%, and Stamina by 25%. Radiance of the Cenarion Circle (Rank 1) (New) Increases damage by 10% and Stamina by 25%. Ferocity of the Cenarion Circle (Rank 1) (New) Increases damage by 10% and Stamina by 25%. Fortitude of the Cenarion Circle (Rank 1) (New) Increases damage by 10%, Armor by 10%, and Stamina by 25%. Grace of the Cenarion Circle (Rank 1) (New) Increases healing done by 10%, damage done by 10%, and Stamina by 25%. Bond of the Unseen Path (Rank 1) (New) Increases damage by 10% and Stamina by 25%. Acuity of the Unseen Path (Rank 1) (New) Increases damage by 10% and Stamina by 25%. Ferocity of the Unseen Path (Rank 1) (New) Increases damage by 10% and Stamina by 25%. Intensity of the Tirisgarde (Rank 1) (New) Increases damage by 10% and Stamina by 25%. Instability of the Tirisgarde (Rank 1) (New) Increases damage by 10% and Stamina by 25%. Frigidity of the Tirisgarde (Rank 1) (New) Increases damage by 10% and Stamina by 25%. Endurance of the Broken Temple (Rank 1) (New) Increases damage by 10%, Armor by 10%, and Stamina by 25%. Mists of the Broken Temple (Rank 1) (New) Increases healing done by 10%, damage done by 10%, and Stamina by 25%. Ferocity of the Broken Temple (Rank 1) (New) Increases damage by 10% and Stamina by 25%. Light of the Silver Hand (Rank 1) (New) Increases healing done by 10%, damage done by 10%, and Stamina by 25%. Bulwark of the Silver Hand (Rank 1) (New) Increases damage by 10%, Armor by 10%, and Stamina by 25%. Ferocity of the Silver Hand (Rank 1) (New) Templar’s Verdict increases the damage of your next Blade of Justice by 10%. Will of the Conclave (Rank 1) (New) Increases healing done by 5%, damage done by 5%, and Stamina by 25%. Light of the Conclave (Rank 1) (New) Increases healing done by 10%, damage done by 10%, and Stamina by 25%. Light of T’uure (Rank 1) Applies Light of the Naaru to the target, healing for [ 1 + 400% of Spell Power ] and increasing all healing you do your healing done to that target by 0% for 10 sec. Maximum 2 charges. Darkness of the Conclave (Rank 1) (New) Increases damage by 10% and Stamina by 25%. Silence of the Uncrowned (Rank 1) (New) Increases damage by 10% and Stamina by 25%. Bravado of the Uncrowned (Rank 1) (New) Increases damage by 10% and Stamina by 25%. Shadows of the Uncrowned (Rank 1) (New) Increases damage by 10% and Stamina by 25%. Power of the Earthen Ring (Rank 1) (New) Increases damage by 10% and Stamina by 25%. Might of the Earthen Ring (Rank 1) (New) Increases damage by 10% and Stamina by 25%. Echo of the Earthen Ring (Rank 1) (New) Increases healing done by 10%, damage done by 10%, and Stamina by 25%. Degradation of the Black Harvest (Rank 1) (New) Increases damage by 10% and Stamina by 25%. Swarms of the Black Harvest (Rank 1) (New) Increases damage by 10% and Stamina by 25%. Flames of the Black Harvest (Rank 1) (New) Increases the damage of Conflagrate by 10%. Arms of the Valarjar (Rank 1) (New) Increases damage by 10% and Stamina by 25%. Fury of the Valarjar (Rank 1) (New) Increases damage by 10% and Stamina by 25%. Protection of the Valarjar (Rank 1) (New) Increases damage by 10%, Armor by 10%, and Stamina by 25%.